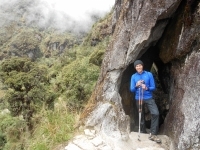 This adventure at the Inca Trail was amazing ! It was four intense, beautiful but also tough days. Luckily there was the good company, the lovely weather and the great guides and crew to help me through the days. Challenging at worst, but magical and enchanting at it's best. 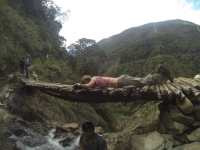 This would best describe my 4 day - 3 night Inca Trail experience. The hike itself did not hinder the determination and sheer thrill that the tour guides (and fellow hikers) brought to the whole experience. 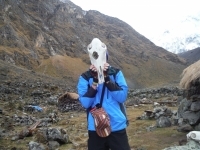 Its was a dream of us, "old man", to come to Machu Picchu. We know high mountains only in the alp in Europe, in Austria or Italy. Our highest point was 3250 meters - and now we went over 4200 meters ! 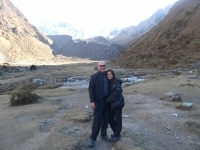 My parner and I walked the Salkantay trek in Peru in September. 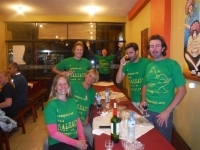 We booked directly through Inca Trail Reservations - Salkantay.org, the communication was excellent, reply rate to emails was quick and informative. Conditions on the trails were ideal, the camping gear provided was top notch. Transport to the start of the walk was great. 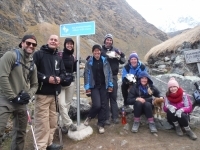 The Salkantay trek was a great experience. Carlitos, our king of the mountains, was the best guide. 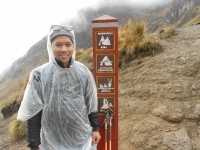 At first it was a bit cold but we had a great workup to Machu Picchu ! A real lifetime experience. 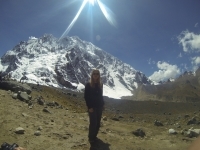 I enjoyed the Salkantay trip so much. Summed up: great people, staff, views, experiences and fun ! We learned a lot about the Incas and their mountains - thanks to our awesome guides. You made this trip to a fabulous and informing 5 days ! 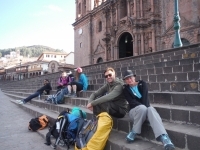 We booked this trek and arrived in Cusco at noon the day before the hike so we didn't have much time to acclimate to the hike. We were also the least prepared of the group. This was a fabulous adventure ! We have yet to see Machu Picchu, which is the ultimate goal, yet we feel complete already. 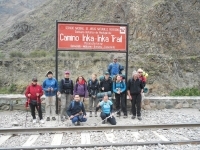 The Salkantay trek is a fantastic adventure - beautiful, educational, challenging, and tremendously fun. This trek was one of the best experiences of my life. 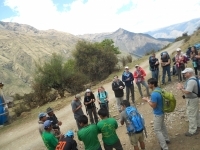 The guides were so nice and very informative about the Peruvian culture and natural life. The cooks were very talented and made very yummy food ! There was more than enough at meal time but it is a good idea to bring energy bars for along the way.